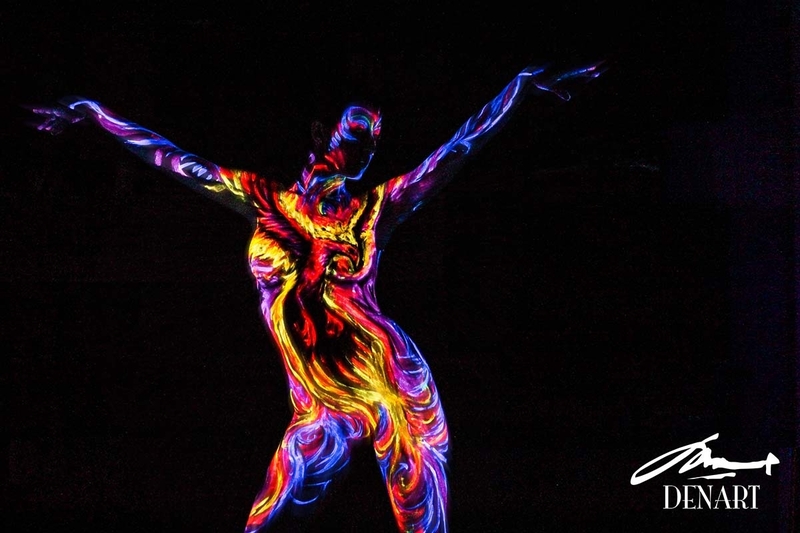 Body Painting Art, that brings out, the night-time creature in you. 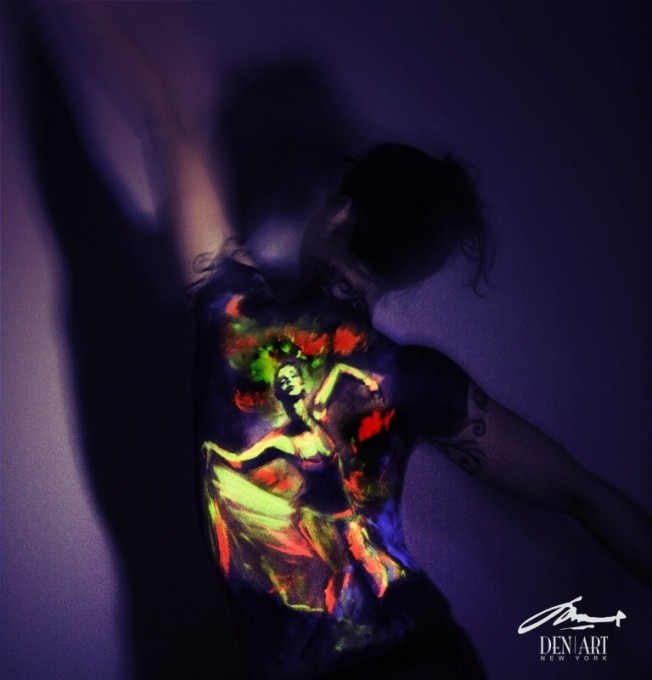 Danny Setiawan is the founder of Denart Studio, his shop is based in New York and he has a background as a body painting artist. 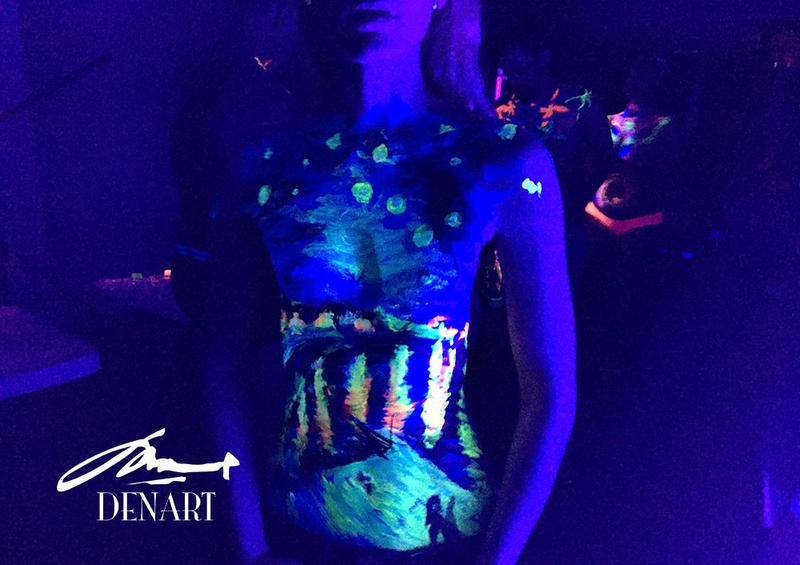 With the help of his business partner and co-owner, Ekaterina Dorozhkina, they built a business that allows novices and professionals, use their studio and experience this medium. Once the painting is done the models can be photographed in order to keep a record, of what then vanishes, when the model washes off the paint. 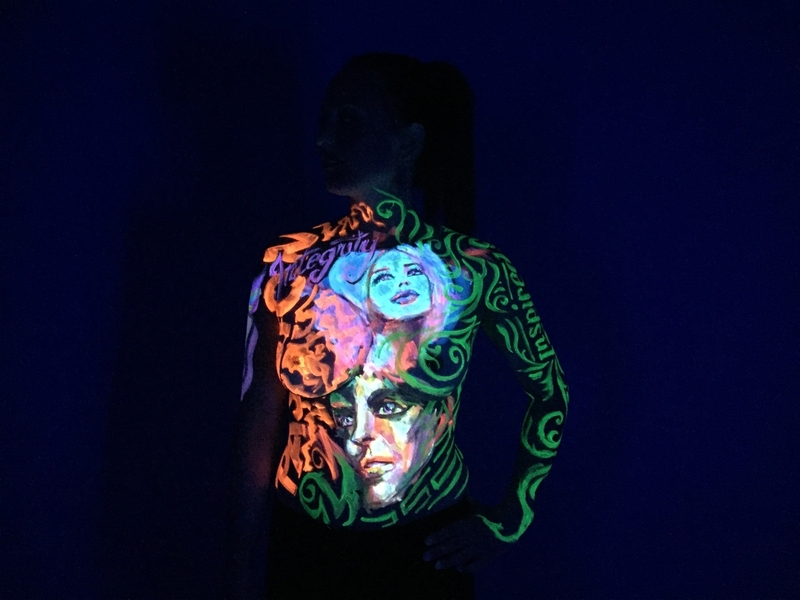 Amongst all of the works displayed on the site, I have chosen his UV ones, which become luminescent in a dark room illuminated by a black light. 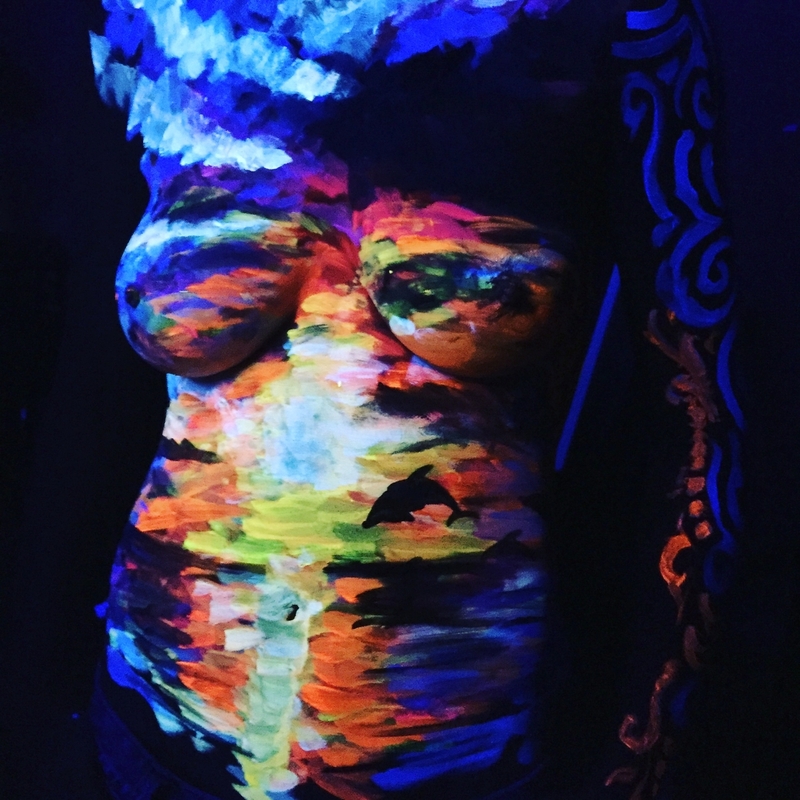 It would be a fantastic effect to use these paints for a party or a night out at a nightclub, all eyes would be on you.